After a shocking result between Qatar and South Korea, Tottenham Hotspur received a little bit of good news as forward Son Heung Min will return. After several weeks of awful news for Tottenham Hotspur and a Carabao Cup painful loss last Thursday, Tottenham Hotspur received a little bit of good news in the form of getting Son Heung Min back from the Asian Cup. Unfortunately for the player and the South Korea National Team, BBC Sports reports that they were just eliminated by a late Abdulaziz Hatem goal from a long distance that was more than enough for the future World Cup hosts to eliminate South Korea from the competition and reaching the tournament’s semifinals. 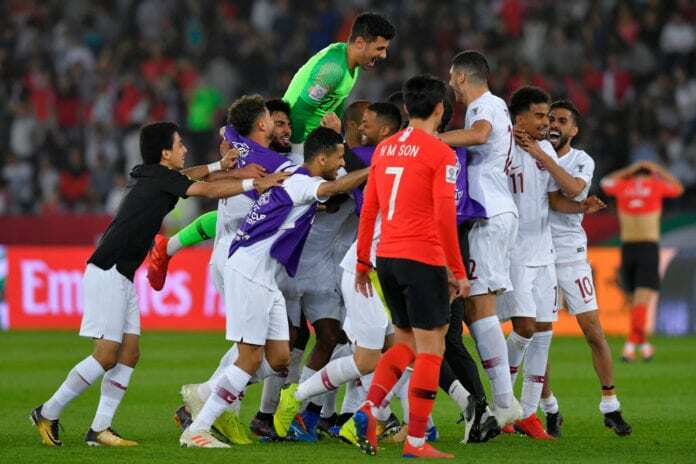 Qatar needed this confidence boost as they are also scheduled to play the upcoming Copa America in Brazil later this year, they were eager to eliminate one of the tournament’s most competitive squads and prove that they are not going to that summer competition to rest on their laurels. Although it’s a shocking result for South Korea, Tottenham Hotspur are the ones who were finally able to take a breath of fresh air as they are now certain that they are going to get Son Heung Min back from this competition and straight into the Premier League action that they desperately need. The Spurs are currently playing without him, but also without two of their best players. Harry Kane suffered an ankle injury that will keep him out of any competition for at least another month, this happened just over two weeks ago. 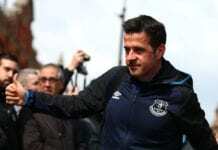 Dele Alli is the other player who suffered a major setback for Spurs, the England international suffered a major hamstring injury that will keep him out for a similar time to that of the club’s captain. Manager Mauricio Pochettino did mention this Friday that the club is actively looking for a possible winter transfer, it appears that the club’s chairman has finally realized that he will have to spend a little bit of cash if he wants to keep the manager happy and Tottenham relevant in one of the remaining three competitions they have to play. Apart from the Premier League which is already extremely difficult for them, the Spurs are still hoping to eliminate Borussia Dortmund in the Champions League and reach the tournament’s quarterfinals. But getting that far in the competition will require having the type of players that are currently injured, Son Heung Min’s return means that they at least will have one of their best elements to help them play the upcoming matches. The calendar for Tottenham Hotspur doesn’t seem that complicated for the next four matches, they have to travel to Crystal Palace for a fifth-round FA Cup match on Sunday and attempt to shake off the latest Carabao Cup elimination. Son is expected to arrive on Saturday back in England but there is no confirmation about his possible lineup inclusion for this match, there is a chance that Pochettino decides to let his player rest and get him properly ready for the next three Premier League matches that are coming before facing Borussia Dortmund. Spurs will then play against Watford, Newcastle United, and Leicester City in the Premier League alone. After those three matches, Pochettino’s squad will resume their Champions League journey with a fourth consecutive match at Wembley Stadium against Borussia Dortmund. Winning these four straight home games will be essential for Spurs to keep their confidence levels high, but getting a good result in the FA Cup on Sunday at Crystal Palace is also important because it will tell us how great this team’s capacity for reaction really is. Do you think Son Heung Min should play on Sunday or rest until the next Premier League match? Please share your opinion in the comment section down below.